Jenny Simpson broke her own American record by 2 seconds at the Drake Relays last week. She ran a 9:16, with the final lap at whopping 63 seconds (!). You can read more about her accomplishment here on FloTrack, but let me just say: American female athletes are having a total moment right now. Molly Huddle, Shalane Flanagan, Desi Linden, Jessie Diggins, and now Jenny Simpson have all broken records and/or won major events in the past six months. Is anyone else feeling incredibly inspired? 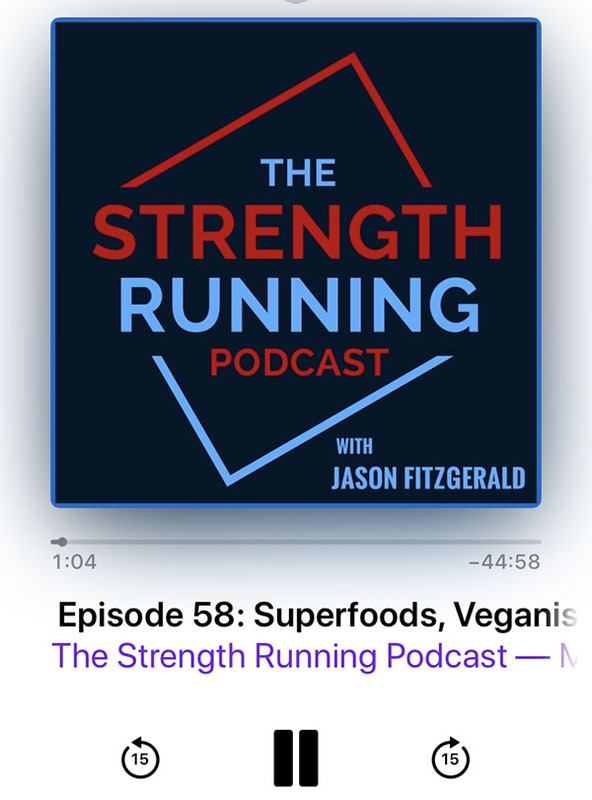 Jason Fitzgerald of Strength Running interviewed Heather Caplan, RD and intuitive eating advocate, on his podcast. This episode is a must-listen, as Heather’s view on eating is so balanced and refreshing. 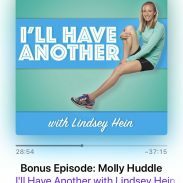 She discusses how to balance intuitive eating with eating nutritionally-dense foods to support running, eating enough, and more. Her examination of fasting for runners is particularly interesting (as well as refreshing). Listen to the episode here! If you read one article this week, you should read “Behind the Scenes of Desi Linden’s Incredible Boston Marathon Win” by Sarah Lorge Butler and Erin Strout for Runner’s World. The article chronicles the morning of the Boston Marathon from the perspective of Desi, her husband Ryan, her coaches, Shalane, Molly, and others. Is the Post Marathon Cold a Myth? “How Strenuous Exercise Affects Our Immune System” by Gretchen Reynolds for the New York Times examines the science behind immune suppression and marathons. It’s a truly interesting article, especially since I have and know many who have come down with a case of the sniffles after running a marathon. Some sports supplements are simply a waste of cash – but a few do actually work. Alex Hutchinson examines sports supplements that actually work and how to use them prudently in this article. 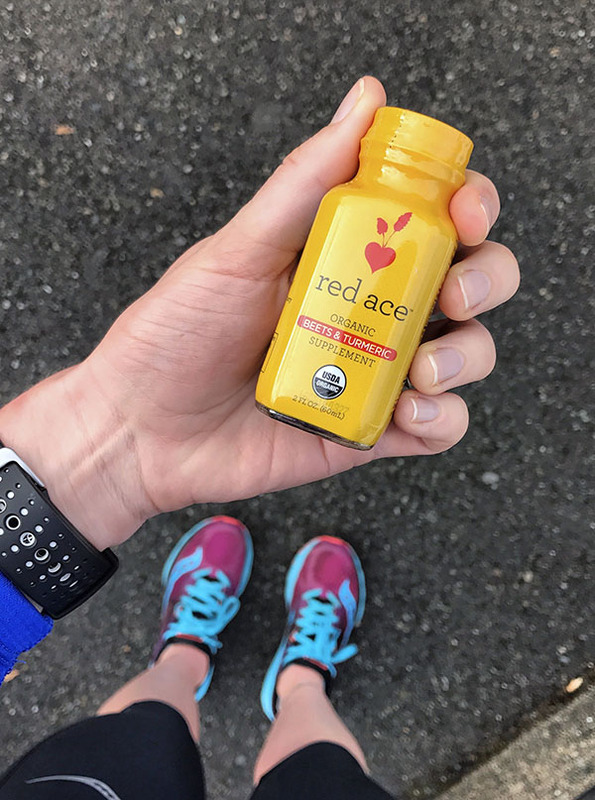 Caffeine (in the form of coffee) and beet juice are the two supplements I’ll use before a race – otherwise, I’m not a huge fan of pre-workout mixes or other supplements. From sports supplements to the post-marathon cold, here’s @thisrunrecipes list of must-read #running articles and stories for the week! This week is my half marathon and I’m really excited. Several of my athletes are running the same race as well, so it will be fun to cheer them on as well as push myself to my limits and see how these past several weeks of training pay off. Do you use any special supplements before a race? Have you ever had a post-race cold? Great round up of articles and I’m planning on listening to that podcast later today. Good luck this weekend! I’m so excited for you! Thank you! I hope you enjoy the podcast – she also has her own podcast, which is probably really good as well! I am looking forward to listening to that podcast! 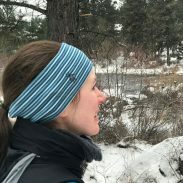 I’ve read Heather’s blog for awhile and have always appreciated her views on nutrition for runners. Good luck in your race!! Thank you! I need to start reading her blog and listening to her podcast – she came across as so balanced, logical, and intelligent in this interview. Good luck this weekend! I’m sure you’ll do great! Did you win last year’s race??? Noticed several photos of you breaking the tape! PS thanks for your article the other day on race week workouts! 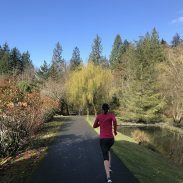 I am writing the training plan for my goal half (eek!) this summer, and I always really struggle with what to do on race week. Very helpful! Thank you for the encouragement! 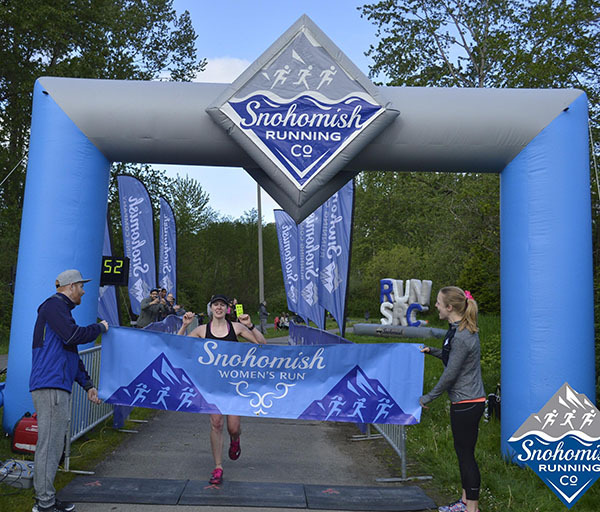 I was second overall – I honestly was confused by the tape, and I think in retrospect it was because the first person overall didn’t enter an age when she registered and because at the time, I was coaching the race director! I’m glad the race week workouts helped! There is a lot of conflicting information and I’ve seen workouts really inappropriate for race week – like short repeats out of nowhere for the marathon. I hope your half marathon training goes well! I’m intrigued by beet juice, but the only supplements I’ve used pre-race are caffeine, and electrolytes if it’s hot out. I don’t understand the mindset of taking a pre- and post-workout for every workout – which I don’t really see among runners, but it seems to be becoming more popular for gym-goers. I suspect it’s best in most cases to just let your body do what it would naturally do. I don’t understand that mindset either – I know there are some benefits to certain amino acids, but honestly I think those supplements are only beneficial because of a placebo effect. People want them to work, so they seem to do so. I was all over that beet juice shot–I was taking one every day–and then I OD’d on beets. Ugh. I was really sick. So now I’m a little gun-shy! I still have a case of them and I know I need to get back on the horse. Good luck on your half this weekend!!!! I can definitely understand being nervous about them after overdoing it! I don’t think I could take the beet shots every day, but I really do think they help with racing and hard workouts. And thank you!